Tecate Score Baja 1000 is 200’000 spectators, 1 course, 1000 miles, and 300 eager competitors from over 30 US states and 15 countries, including 35 Pro and 7 Sportsman classes for cars, trucks, motorcycles and ATV, all in the heat and dust of the Mexican pampas. It’s a race that has attracted the likes of international celebrities such as actors Patrick Dempsey, Paul Newman and Steve McQueen, as well as several NASCAR drivers. 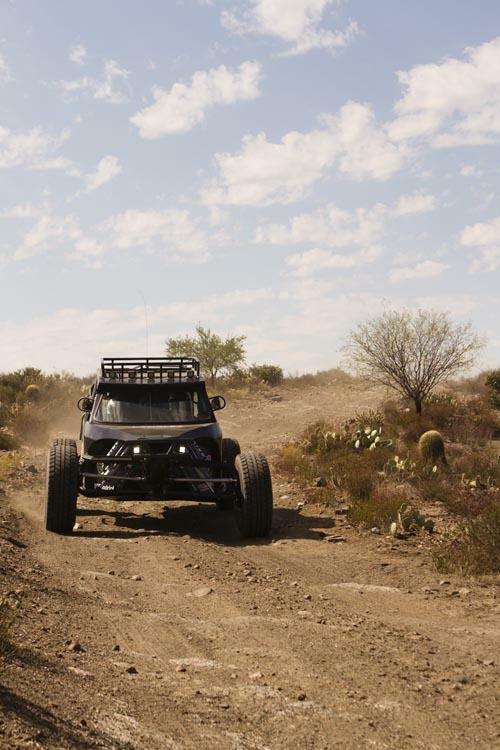 Created in 1967, the Baja 1000 is the most prestigious race of races as well as one of the oldest held on the rugged terrain of the legendary barren desert of Baja California. 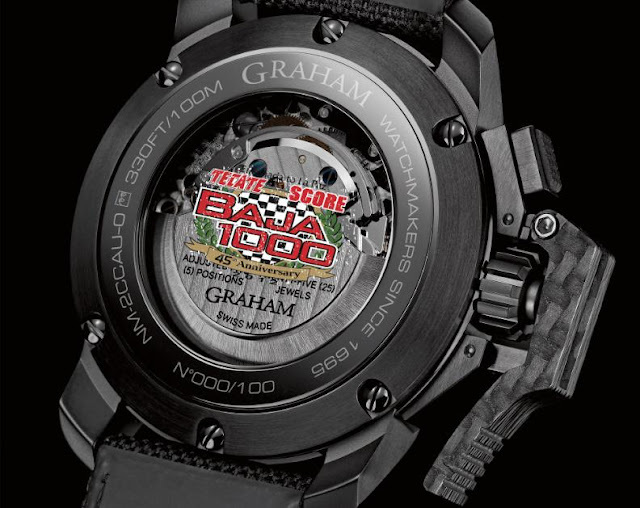 GRAHAM is the Official Timekeeper of the 2012 SCORE Baja 1000 off road race, and to pay tribute to the mecca of desert races down the entire length of the magnificent Baja California Peninsula, GRAHAM has introduced the Chronofighter Oversize Score Baja 1000. 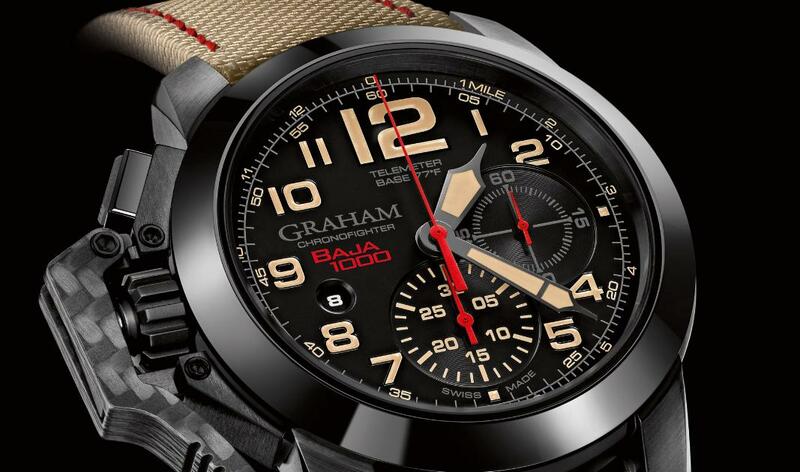 This sturdy chronograph has been developed to equip the modern-day Baja 1000 racers with a watch which will tackle sand, desert, mountain passes, hidden dry lakes, hot weather, craggy tracks...any terrain you throw at it, and still keep accurate time. 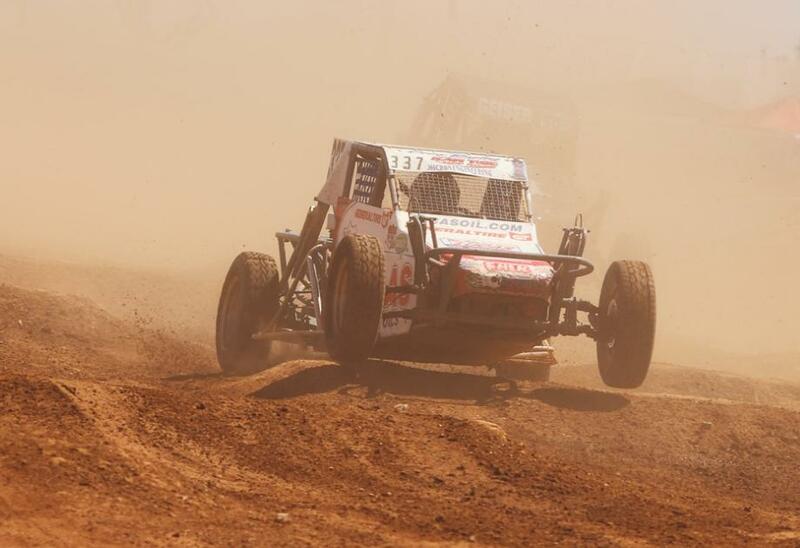 As each vehicle races down the dry, dusty and bumpy course at high speed, it kicks up a trail of dust which can be seen for miles amongst the cacti. Like the modified 4-wheel vehicles used by the race competitors, the Chronofighter Oversize Baja 1000 has been re-engineered to handle the extreme race conditions. 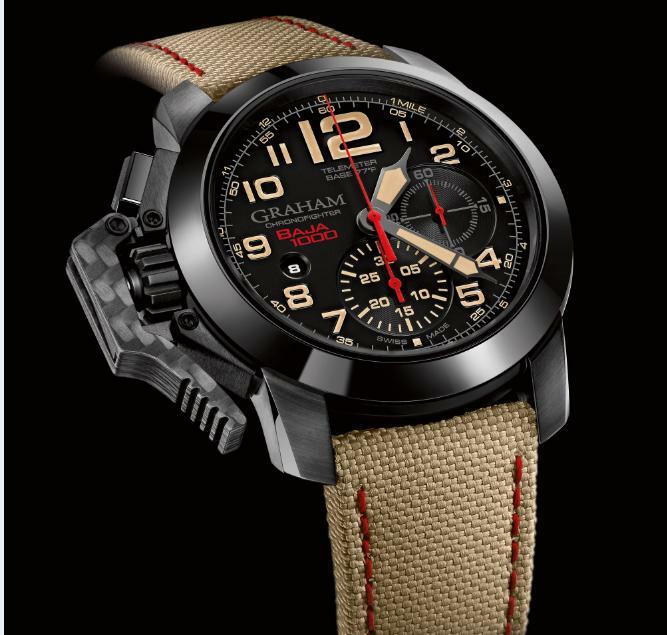 The start and stop lever on the left of the case, originally used by aircrew in the 1940s, is the renowned GRAHAM signature. It is made of plain carbon and is produced in a very specific machining process. The lever is a single piece of carbon which provides the watch with more stiffness and enhanced usability. The black ceramic bezel gives the watch its strength and unique personality.